His list of opponents from around the world are a ‘who’s who’ of modern wrestling. ZSJ is one of New Japan Pro Wrestling’s biggest stars, and he also competed in WWE’s original Cruiserweight Classic Tournament. Widely regarded as the best technical wrestler in the world, Zack Sabre Jr. in his own words, fights with his brain and “an underlying hatred for the British Conservative party”. It was no surprise that a proud socialist with tremendous wrestling acumen would want to come and wrestle in Brighton for the RIPTIDE fans, but also planned to demolish the ‘King of Strong and Stable Style’ Spike Trivet. Trivet had other plans, enlisting his Money vs Everybody employee Chris Ridgeway to take on the challenge on his behalf. 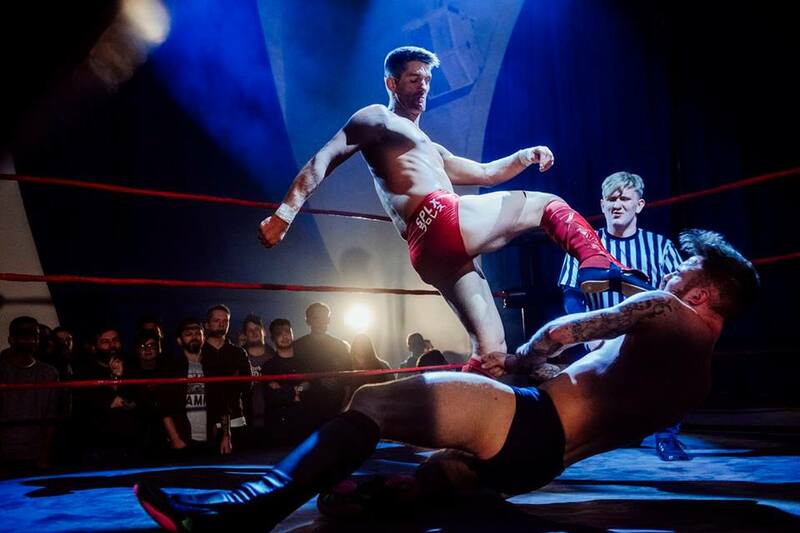 Grabbing the ropes, Ridgeway was able to defeat ZSJ in a huge upset win, and a post-match beatdown at the hands of Trivet, Ridgeway and Damon Moser allowed Trivet to count an unofficial three on a fallen Sabre. A range of Zack Sabre Jr. merchandise can be bought over at ZSJ’s webstore.